Any order under a product appearing in the online store site MaskedWrestlers.com requires consultation and prior acceptance of these terms and conditions of sale. The click of the confirmation of the order implies full acceptance of these terms. The click value of "digital signature"
The contractual information will be confirmed via e-mail to the address specified by the customer in the order form. Payment must be made when ordering by the Buyer. At no time, the payments can not be considered as a deposit or deposits. All orders are payable in euros. The Buyer warrants to Catch masks that they have the required permission to use the payment method he chose, when recording the purchase order. Masks Catch reserves the right to suspend or cancel any orders and / or delivery, whatever its nature and level of performance, for non-payment of any sum due by the Buyer, if Incident payment or in case of dispute with the Buyer. Penalties in an amount equal to the legal interest rate plus five points are automatically applicable to amounts outstanding at the end of a period of ten days from the invoice date or upon notification of the rejection of bank payment other means of payment. 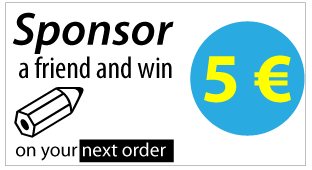 The delivery of any new order may be suspended in case of late payment of a previous order, notwithstanding the provisions hereof. For payment, masks Catch reserves the right to request a photocopy of the identity card of the Buyer and if any, of that holder's method of payment used by the Buyer. For amounts over 100 euros, masks Catch reserves the right to request a certified copy of an identity. As part of the fight against Internet fraud, the details of your order may be passed to any third party for verification. To set the order, the Buyer has the following payment methods: credit card, bank check issued by a French bank transfer or money order. - Credit cards accepted on the site are: Blue Card, Visa and Master Card. When paying by credit card, the buyer's account will be debited on the day of his order. Are only accepted checks issued by a French bank. Catch masks will send the products at the earliest 3 days after cashing the check corresponding to the said order, subject to provisions. The cancellation of the order before sending the check is possible by simply sending an email to Customer Service at Catch masks specifying the order number. If paying by bank transfer or money, the Buyer denominate its order the order number in question. Catch masks will send the products upon receipt of funds corresponding to the said order. The records stored in the computer systems of society Catch mask under reasonable conditions of safety are considered proof of communications, orders and payments between the parties. Every effort has been made to ensure the accuracy of information presented on MaskedWrestlers.com . Catch society mask or its suppliers are not responsible for the consequences, however, incidental, special damages arising from electronic transmission or the accuracy of information provided even if mask Catch was aware of the possibility of such damage. The names and product brands and manufacturers are used only for identification purposes. The photos, descriptions and prices are not contractual. The offer is valid subject to availability and subject to receipt of payment within 10 days following the order. The products are delivered to the address given by the customer on the order form and only on geographic areas we serve. All products leave our premises in perfect condition. The customer must notify the carrier (or factor) the slightest trace of impact (Holes, traces of crushing etc. ..) on the parcel, and where appropriate to refuse the package. A new product will then be returned to the same toll. The exchange of any product declared a posteriori, damaged during transport, without any reservation has been issued on receipt of the package can not be supported. As with any expedition, it is possible to be delayed or that the product gets lost. In this case, we contract the carrier to start an investigation. Every effort is made, as long as necessary, to find this package. If necessary the merchant will be reimbursed by the carrier and deliver a new package identical to its costs. We are not responsible for the longer delivery times because of carrier, including any loss products, bad weather or strikes. The customer is responsible for entries for the name and address of the recipient, to be precise, accurate and complete to enable delivery under normal conditions. Masquesdecatch.com not be held liable for return delivery due to an incorrect address or failure to deliver to the address. 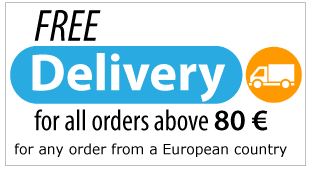 If the return delivery or failure to deliver is due to a lack of information or an address error, re-delivery will be charged in full to the client. Any anomaly concerning the delivery (damage, missing product compared to the delivery order, damaged package, broken product ...) must be indicated on the delivery form of handwritten''reserves'', accompanied by the signature of client. The consumer must confirm this problem by sending the carrier within 2 two business days after the date of delivery by mail with return receipt stating such claims. The consumer must send a copy of this letter to mask Catch 22, Rue Saint Antoine 13002 Marseille. Without this, we do not proceed to exchange. The consumer must make to mask Catch, the day of delivery or later than the first business day after delivery, any claim of error of delivery and / or non-conformity of goods in kind or in quality compared to entries on the order form. Beyond this period, all claims will be rejected. Any claim not made ​​in the rules defined above and within the time limits could not be taken into account and will release Masks Catch any responsibility towards the consumer. In case of error of delivery or exchange any product for exchange or refund must be returned to Catch masks as a whole and in its original packaging in perfect condition to Masquesdecatch.com 2, Place des Augustines 13002 Marseille - France. To be accepted, any return will be reported and have the prior approval of masks Catch, which if agreed will ship the package to the right place. Shipping costs are the responsibility of masks Catch, except where it appears that the product does not match the original declaration made by the consumer in a good way back. These general conditions are subject to French law. This is for the fund rules as to the rules of form. In case of dispute or claim, the consumer should first contact Masque de Catch for an amicable solution. The intelligence information collected in connection with distance selling is required, this information is necessary for processing and delivery of orders and for preparing invoices. This information is strictly confidential. The defect of information involves the automatic rejection of the order. In accordance with Law No. 78-17 of 6 January 1978 relating to data, files and freedom, the processing of personal information collected on the Site has been registered with the National Commission of 'Data Protection. The User has the right to access, modify, rectify and delete data. To exercise this right, the User must send a letter to customer service Masques de Catch – 22, rue Saint Antoine – 13002 Marseille. This right can also be done online. All elements of the site wrestling masks are the intellectual property and exclusive masks Catch. Nobody is allowed to reproduce, use, repost, or use for any purpose whatsoever, even partially, the elements of the site they are software, visual or sound. Any dispute between the Seller and the Buyer arising from the present contract and its execution, shall be governed by Belgian law in general and by the present general sales conditions in particular. The present contract does not fall within the provisions of the Treaty of Vienna of 11 April 1980 on the international sale of goods. In case of litigation the Courts of Marseille, France shall have sole jurisdiction.